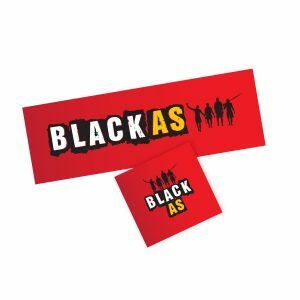 Get the Black As DVD bundle! Watch the second season of the hit Australian web series Black As, featuring Chico, Joseph, Dino and Jerome plus the directors cut – behind the scenes of Season 1. In Season Two, old Uncle Bobby asks the boys to retrieve a tractor from a distant outstation but it’s missing a wheel. Getting the missing wheel to the outstation is hard enough, but getting the tractor going and back home is their biggest challenge yet. With their hunting tracks blocked by fallen trees after a devastating cyclone, the Black As boys borrow an uncle’s dinghy and promise to bring back a bounty of fish for their families. But the hunters are challenged at every turn by tides, engine breakdowns, thirst and ever-present crocs… and getting the dinghy and trailer back to it’s owner. With their bush skills, muscle and ingenuity put to the test, they finally make it back home to a less than warm reception.